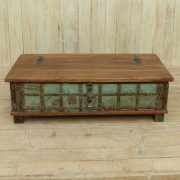 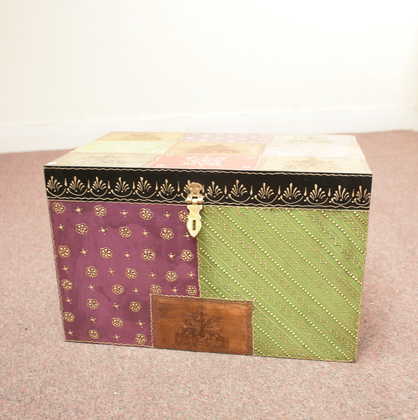 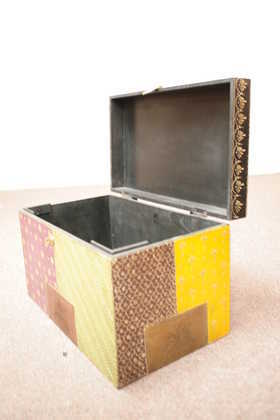 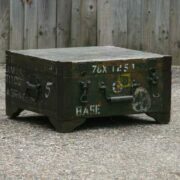 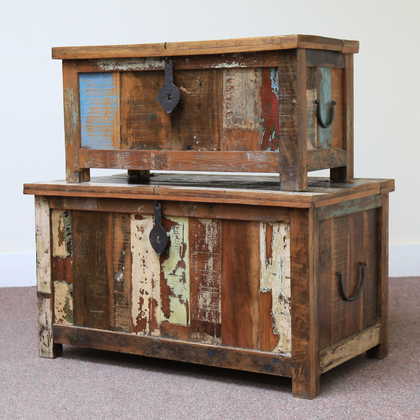 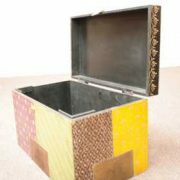 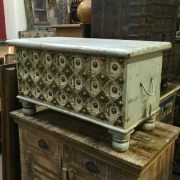 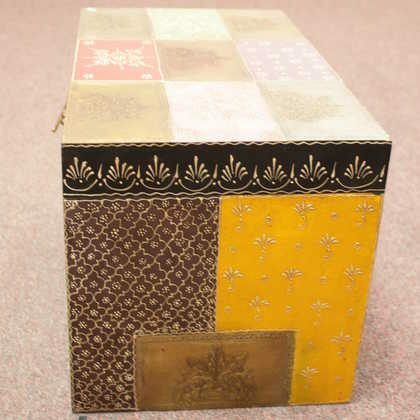 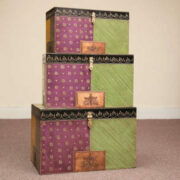 A Beautiful trunk made with the use of bright colours and some metalwork. This item has been hand painted by local Artisans in the city of Jodhpur, India. 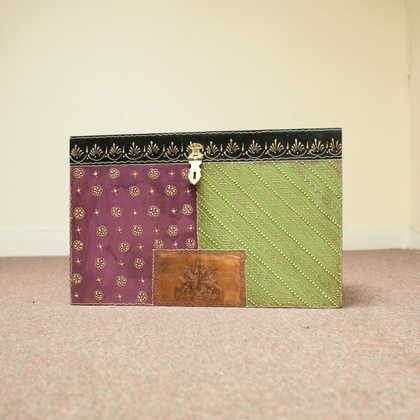 Available in large and medium and small.